Raise your donation by adding further items to your basket. General information pursuant to § 5 of the German Telemedia Act (TMG). This imprint applies to the social media presence of the You Stiftung on Facebook, Twitter and Instagram. 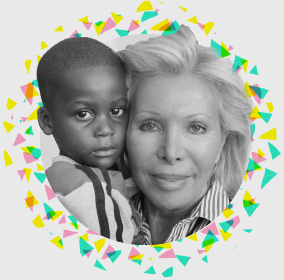 UNESCO Special Ambassador for the Education of Children in Need and Patroness of the YOU Foundation.